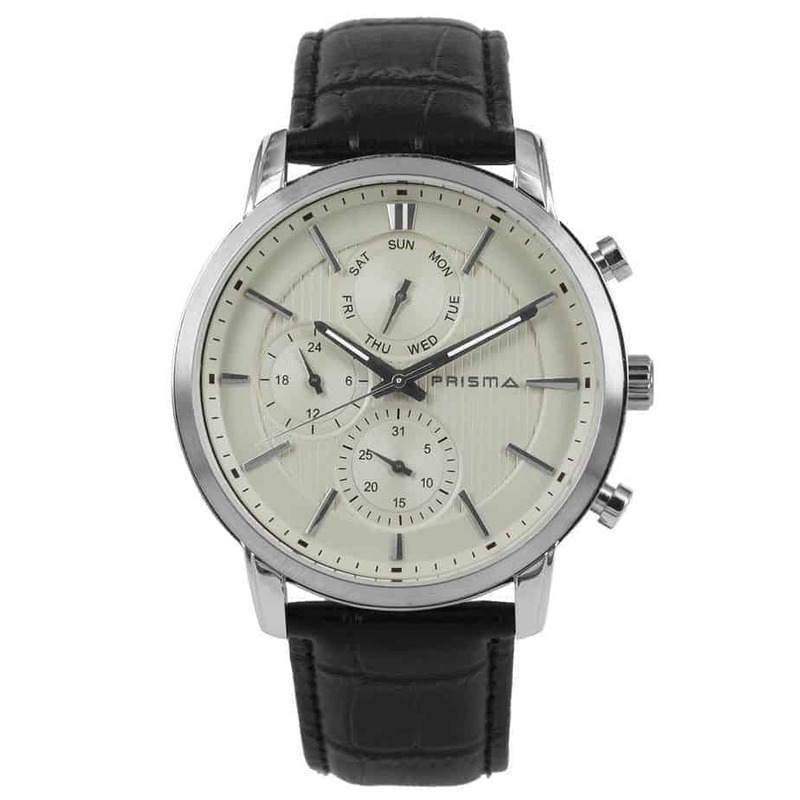 The Prisma 1581 is a sportive beige men’s watch from Dutch creativity and craftsmanship. The combination of black and beige colours make P.1581 the perfect timepiece for a casual and business look. Whether you are boarding on a plane or having a meeting with a client, this accessory reinforces your appearance. 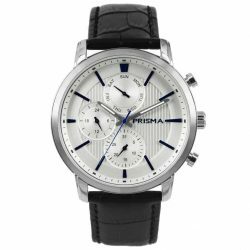 The Prisma 1581 is a sportive watch with classic colours. It gives the watch an adventurous look and makes it still wearable during formal meetings. With a case size of 44 mm, the watch is prominent in the picture. So thanks to these striking details, the Prisma 1581 is the perfect everyday watch. 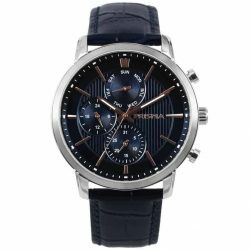 Furthermore, you can rely on the quality of the timepiece as it has a VX9N movement. The Prisma P.1581 will be shipped the same workday, if ordered before 4:00 PM (CEST).